WILLIAMSBURG, VA, October 05, 2018 — Marquis Who's Who, the world's premier publisher of biographical profiles, is proud to present William K. Holstein with the Albert Nelson Marquis Lifetime Achievement Award. An accomplished listee, Dr. Holstein celebrates many years' experience in his professional network, and has been noted for achievements, leadership qualities, and the credentials and successes he has accrued in his field. As in all Marquis Who's Who biographical volumes, individuals profiled are selected on the basis of current reference value. Factors such as position, noteworthy accomplishments, visibility, and prominence in a field are all taken into account during the selection process. After graduating from Rensselaer Polytechnic Institute with a B.Ch.E. degree in Chemical Engineering, Mr. Holstein joined Shell Oil Company as a drilling engineer. He was responsible for three exploration drilling rigs in the East Texas field. Shell sent him to Purdue University for an MS in Industrial Management, during which he learned how little Chemical Engineers knew about management and economics. He decided to return to Purdue for a Ph.D. in Economics after a summer assignment at Shell in their Houston headquarters working on the development of a computerized natural gas accounting system. He received his Ph.D. in 1964. During his Ph.D. studies he taught accounting and served as the director of admissions for the MS program in Industrial Management. After completion of his degree requirements, in this final year he taught Production Management in the MSIM program and published Production Planning and Control, a book of readings with Robert H. Bock. He joined the Harvard Business School faculty in 1964. While at Harvard, his article Production Planning and Control Integrated was published in the May-June 1968 Harvard Business Review. The article was based on a system for the scheduling and control of job shops which he and a professor at Purdue had developed and installed in an Indiana manufacturing company during his doctoral studies, and was among the top-selling HBR reprints for the next decade. That article and one in Business Week led to a number of consulting assignments in several U.S. manufacturing companies and at Aramco in Saudi Arabia. He also served as the course head of the First Year MBA course in Production Management. In 1968, he co-authored Casebooks in Production Management with several Business School colleagues. In 1972, he accepted the deanship of the School of Business at the State University of New York at Albany. He was a professor from 1972 to 1999, a SUNY distinguished service professor from 1991 to 1999, the dean from 1972 to 1981 and 1986 to 1987, founder and executive director of the Institute for the Study of lnformation Science from 1988 to 1996, and founding director of the Ph.D. program in Information Science. In 1987 he co-authored BASIC: Concepts and Applications with faculty colleague John P. Seagle. In 1995, the University at Albany initiated a dual-degree program for Executive MBA students from the Graduate School of Business Administration-Zurich (GSBA) in Switzerland. GSBA students completed two two-week blocks of study in Albany and four additional blocks in Switzerland co-taught by an Albany faculty member, as well as completing several workshops and a thesis under the supervision of an Albany faculty member. Prof. Holstein began teaching blocks and workshops as a Professor of Strategy and Information Systems in the program in 1996 and continued until 2017 when the school was sold to the Chinese European International Business School (CEIBS), one of the top business schools in China. He also supervised more than 150 EMBA theses during that time and keeps in touch with many of his Swiss and German students. During his 27 years at the University at Albany, he spent four years overseas, from 1983 to 1985 as a visiting professor in the MBA and executive development programs at IMEDE (now IMD), a business school in Lausanne, Switzerland, and from 1991 to 1993 full-time as the founding director of the Center for Private Enterprise Development in Budapest, Hungary. The grant from USAID of the U.S. State Department to establish the Center in Budapest was obtained with support and management assistance from the Office of International Programs at the SUNY Central Administration. The grant followed Prof. Holstein's involvement in earlier USAID projects in Africa and the ASEAN countries, and a project for the incoming Reagan administration to re-direct foreign aid from government ministries to private organizations, a project that was managed by the National Academy of Sciences. In the summer of 1990, he was awarded a grant from the Mellon Foundation to assist the Hungarian Government to establish a Small Business Administration. Over the eight years of the project, the Center for Private Enterprise Development in Budapest received over $8 million in government grants and $2 million in grants from the World Bank. The Center provided consulting services by American faculty, business managers, and consultants on the privatization of banks and large and small companies, assisted the Hungarian government to establish a micro-loan program for startups and small companies, offered public and in-company management training, assisted Hungarian colleges and universities to develop business management, accounting, and quality control programs, and produced a 40-video and workbook training course in accounting for small business that was distributed to every public library in Hungary with financial assistance from the World Bank. In 1999 Dr. Holstein was named distinguished service professor emeritus and retired from the University at Albany to accept a distinguished professorship and the D. Hollins Ryan chair of Business Administration at the College of William and Mary in Williamsburg, VA. He taught full-time until 2007 and part-time for five additional years. His teaching focused on Management Information Systems in the Executive MBA program and Strategic Management and Entrepreneurship in the MBA program. Since 1969, Dr. Holstein has led executive development programs in Singapore, Taiwan, China, England, and Central America. He has taught in an executive MBA program at the Universidad del Salvador in Buenos Aires, Argentina every summer since 1999. In addition to acting as a consultant to industry and government, he was a trustee of Upsala College from 1969 to 1972. From 1972 to 1981, was a member of the AACSB accreditation committee, the editorial advisory committee, and visitation teams as well as accreditation teams for the Middle States Commission on Accreditation. He was a member of the Middle Atlantic Association Schools of Business Administration's executive committee from 1976 to 1981 and was the president in 1980. He has been a member of the Institute of Management Sciences, Delta Sigma Pi, and Beta Gamma Sigma. Dr. Holstein is also an honorary member of the American Production and Inventory Control Society, elected by the South Shore Massachusetts chapter. His community service includes the board of directors of the Albany Symphony Orchestra from 1976 to 1999 and the Seagle Music Colony from 1998 to 2005. At Parsons Child and Family Center in Albany, NY from 1977 to 1994 he was a board member and served as treasurer, vice president of administration and, from 1989 to 1992, served as President of the Board. 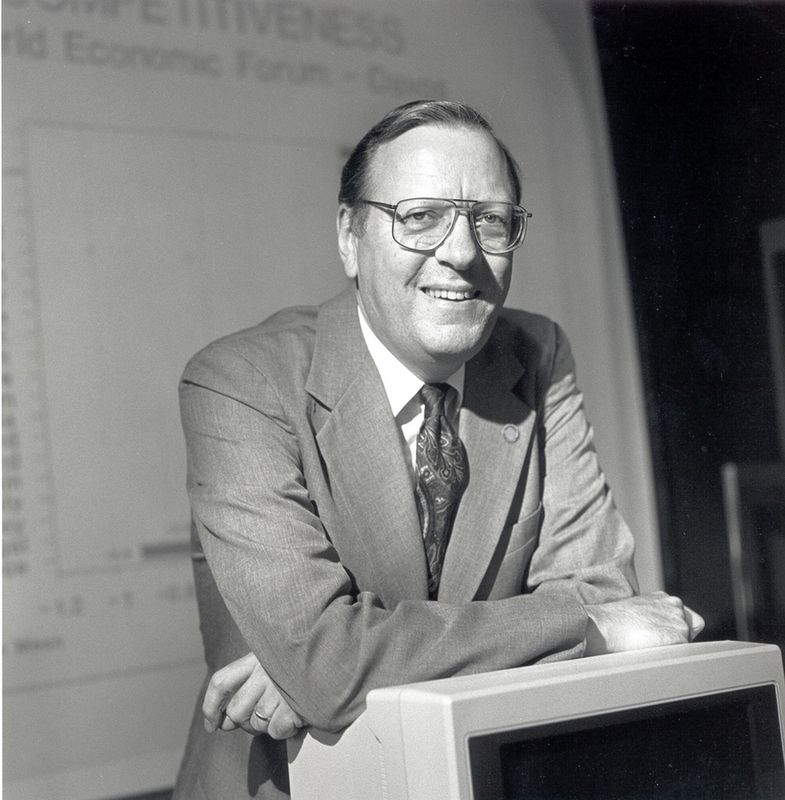 He served on the committee on computer-aided manufacturing for the National Academy of Sciences from 1980 to 1983. He lives in Williamsburg, Virginia and is the Chairman of the Governor's Land Foundation's Heritage Committee and Co-President of the Friends of Greenspring, the 17th century site which is part of the Colonial National Historical Park. In recognition of outstanding contributions to his profession and the Marquis Who's Who community, William K. Holstein has been featured on the Albert Nelson Marquis Lifetime Achievement website. Please visit www.ltachievers.com for more information about this honor.